I'm calling it Buttercream Body Frosting and it looks like buttercream frosting. It is a beautiful bath product. It's gentle and it foams like crazy. 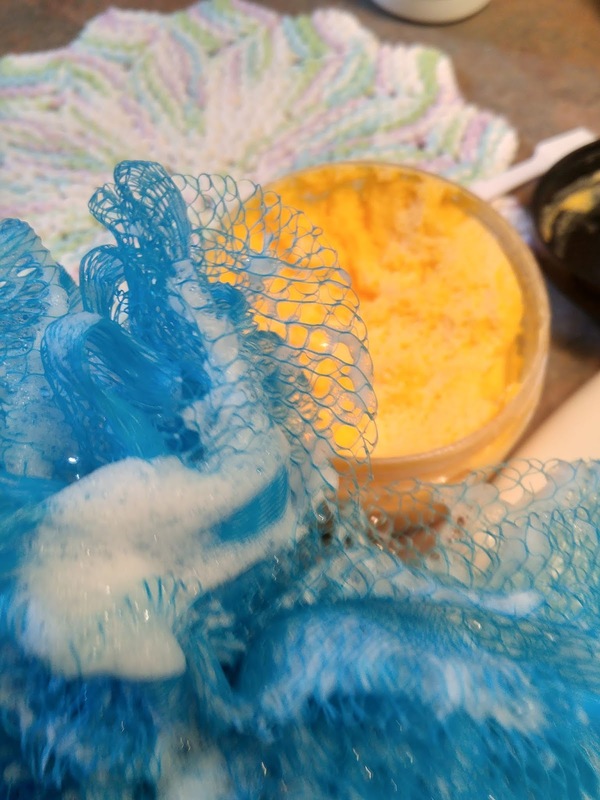 It starts with a base that looks like (ew) lard or shortening and it whips up into this gorgeous, light, creamy foam cleanser. 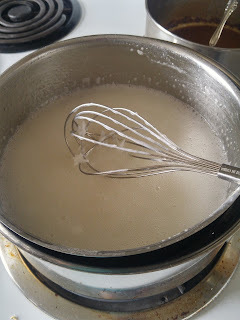 Cooking up the base. It all comes together quickly. 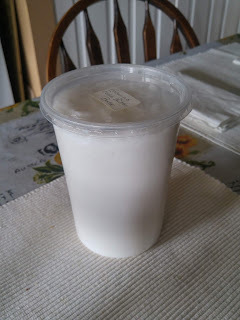 Once everything is dissolved and looks like a smooth lotion, it's time to let it cool before adding the preservative. The one on the left is scented with Mango Sorbet and smells positively edible. So yummy. The one on the left is scented with Karma, a Lush duplicate that has become one of my favourite fragrances. This really is a gentle cleanser, with a pH of about 5-5.5 and is so luxurious. It isn't just for your body either. 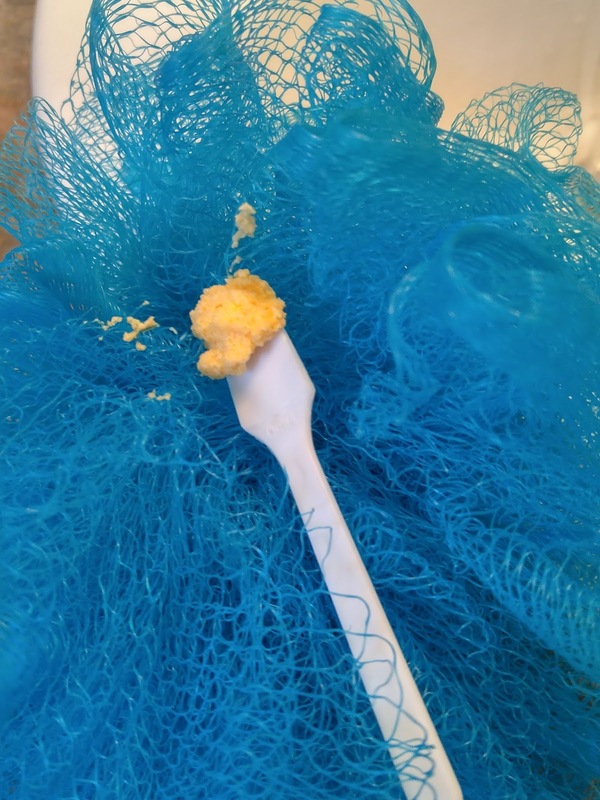 It can, in a pinch, be used as a shampoo, facial cleanser, shave cream, or a base for a sugar scrub. Fun stuff! Both fragrances (and maybe others) will be available at the East Kelowna Sunday Artisan Market, starting up May 5. 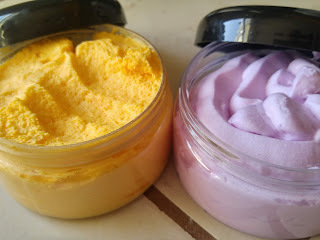 Well, having said all that, I'm now starting to make shampoo and conditioner bars. The recipe I'm using is not lye based; it's a mild surfactant based shampoo (synthetic detergent) and oils that are good for hair. I've been using it for over a month now and I'm really happy with it. My daughter, granddaughter, and one of my nieces have been testing it as well and all reports have been very positive. 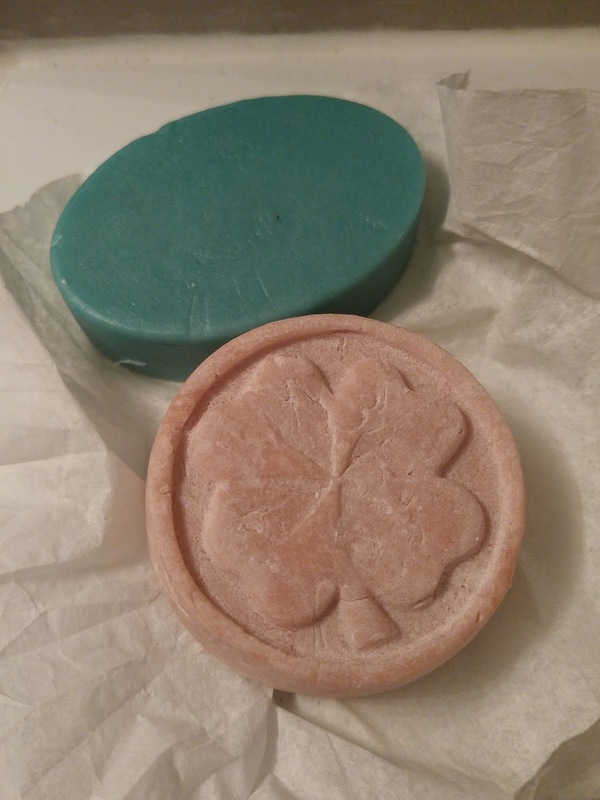 The front bar, with the 4-leaf clover is the shampoo bar. I scented this small batch (only 5 bars) with Pink Grapefruit. We all love the scent and we love how soft and clean it leaves our hair. 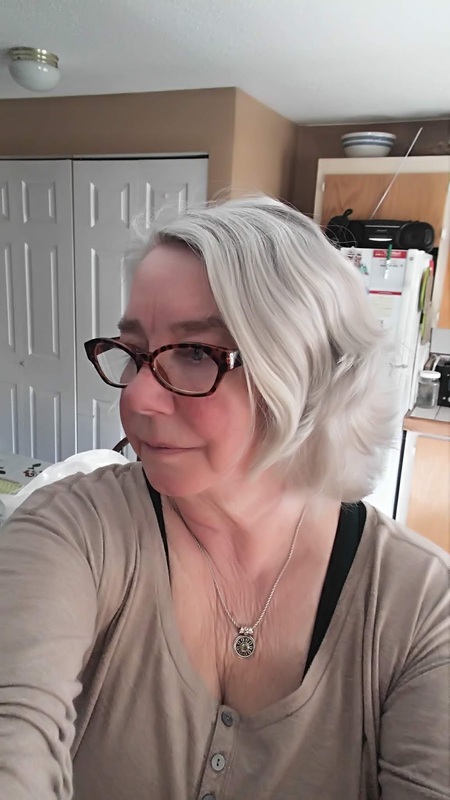 My hair is quite dry, and quite fine (but there's a lot of it, according to every single hairdresser I've ever gone to) so I do need the conditioner; I'm finding the combination is perfect for me. I'll be making more this weekend and will be offering it for sale at this years markets, along with a few other new to me products. Keeping watching this spot for updates and news.